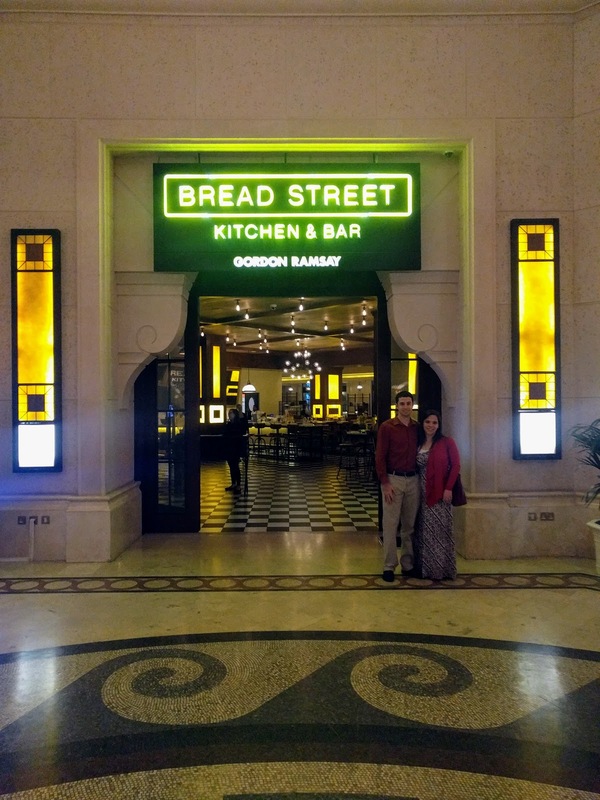 We spent a long weekend in Dubai, and I'm finally getting around to blogging about it (especially now that I'm back to work - and yes, we will get paid)! So we decided to visit our dear friends, R & S, who are also in the Foreign Service and who are posted in Dubai. 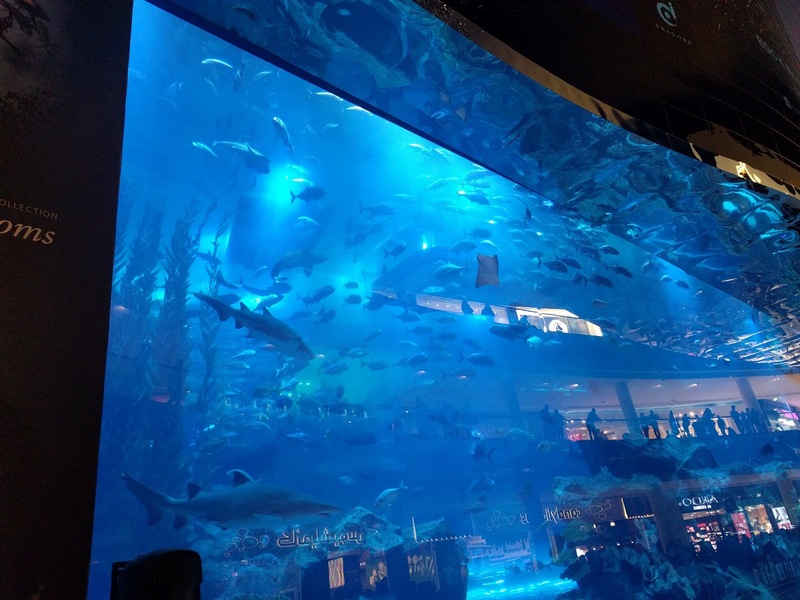 N had been to Dubai a few times before, but it was M's first time. 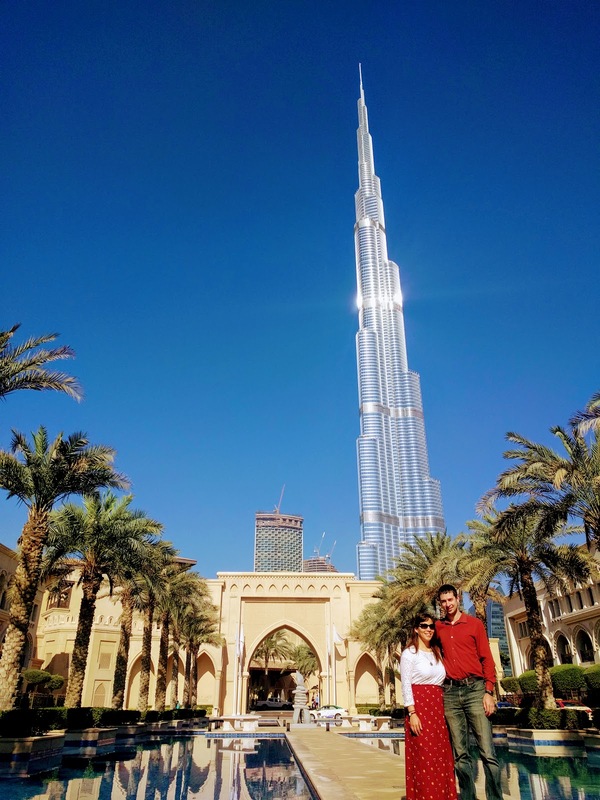 Like the three-part series we did for Mombasa (here, here, and here), I think I'll have to break out this trip into three posts again: this one about our trip in Dubai generally, a separate one for the Miracle Garden, and a last one for the Global Village. 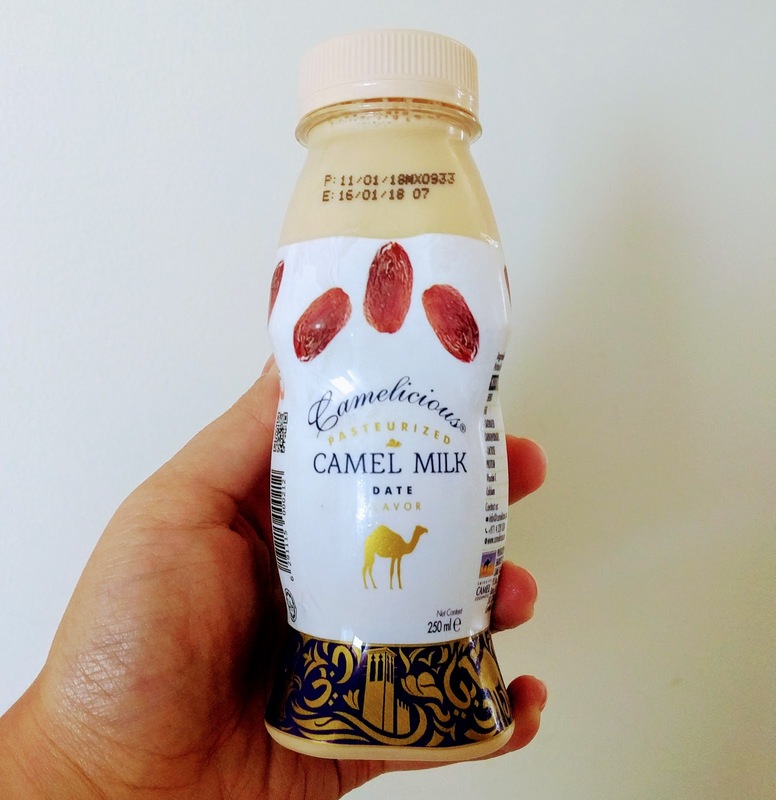 By far our biggest flavor adventure was date-flavored camel milk. 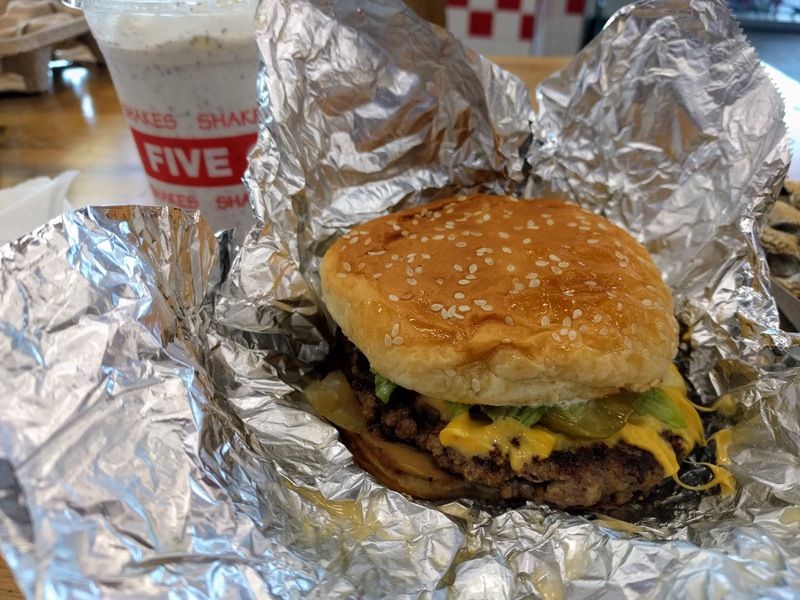 The only way I can describe that taste is... very, very strong. Moving on from the food, Dubai has a reputation as a hyper-developed, cosmopolitan metropolis. That's how I remembered it, and it definitely still resonates. 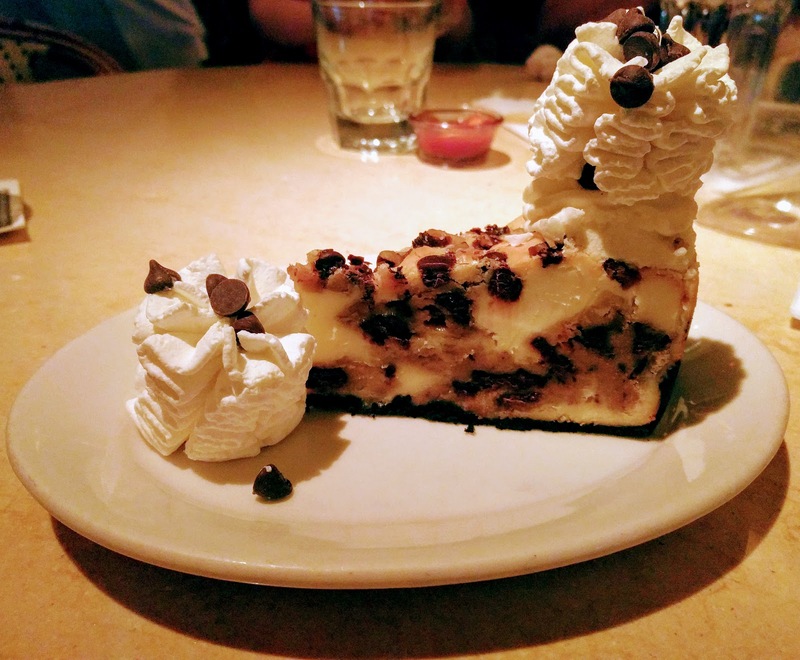 (It's honestly one of the reasons M was looking forward to this trip so much.) 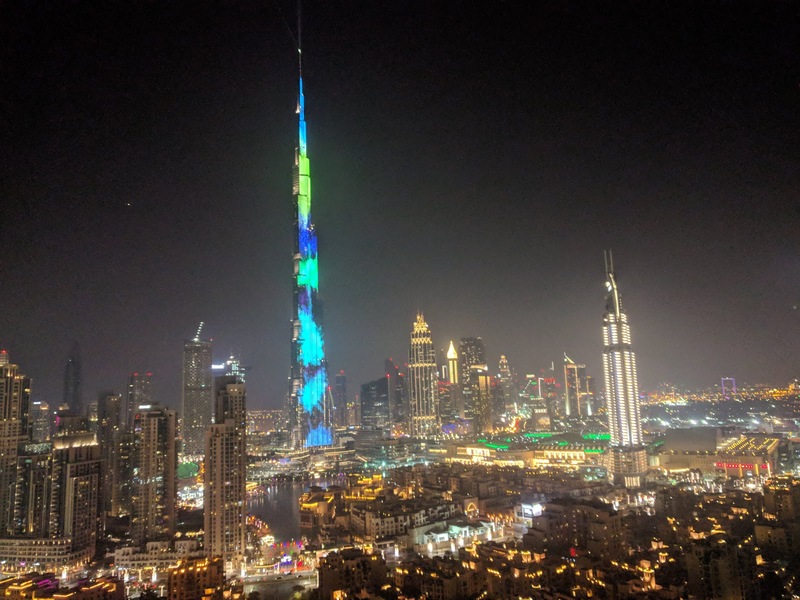 It didn't hurt that our friends had an apartment with a stunning view of the giant LED screen that makes up one of the sides of the Burj Khalifa, the tallest building in the world (and the same one in the background of the first picture of this post). Despite the hyper-developed nature of pretty much every building and street we experienced during our short trip, there was clearly a concerted effort to pay tribute to the city's Arab heritage, as well. 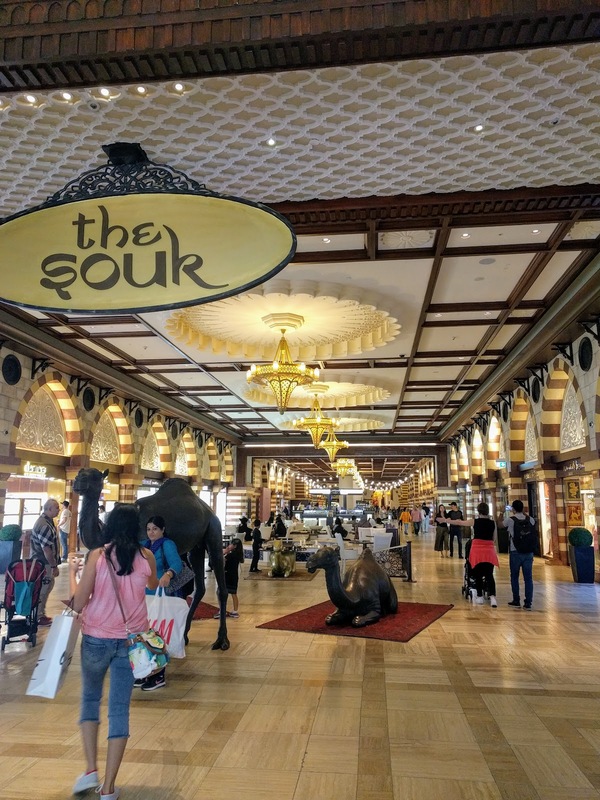 Store names were written in English and stylized Arabic script, and the mall even had a little section called "The Souk" ("market" in Arabic) featuring decorative, strategically placed, Instagrammable fake camels. 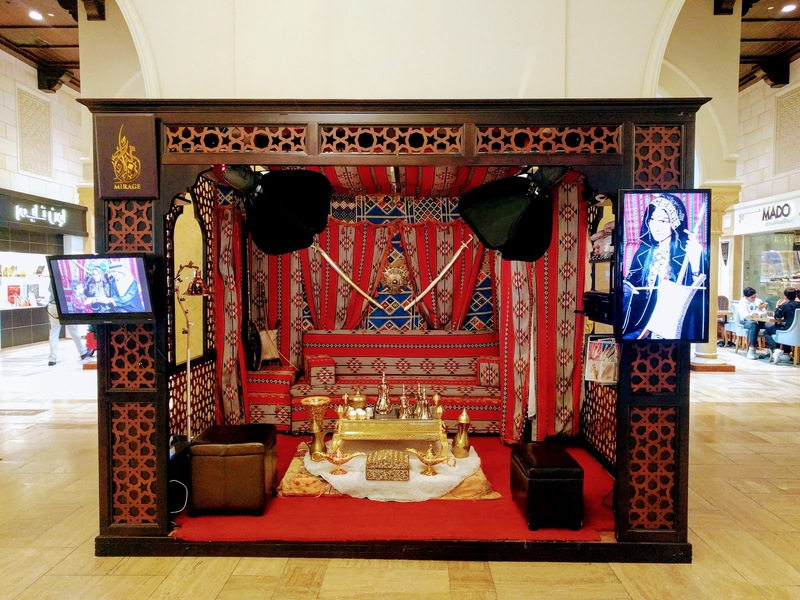 For the tourists, they had a pop-up majlis here and there ("majlis" is Arabic for "sitting room", a traditionally decorated receiving area for guests and a place where you can eat, lounge, and drink tea or coffee with friends and family), complete with props for visitors to use (and, of course, pay for the resulting photos). 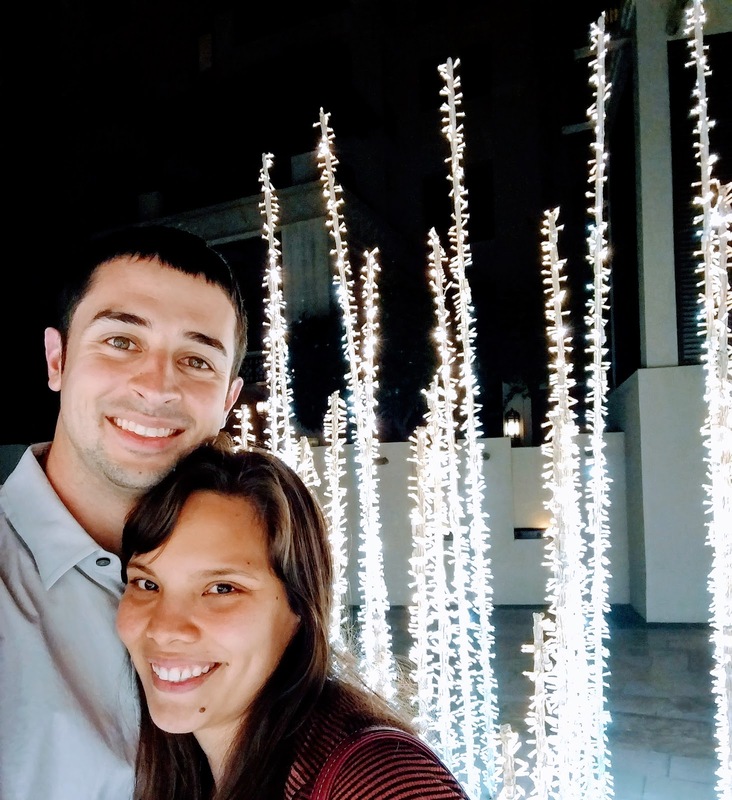 This was definitely one of our favorite vacations we've taken in a long time. Everything was so new, clean, shiny, modern, and fun! 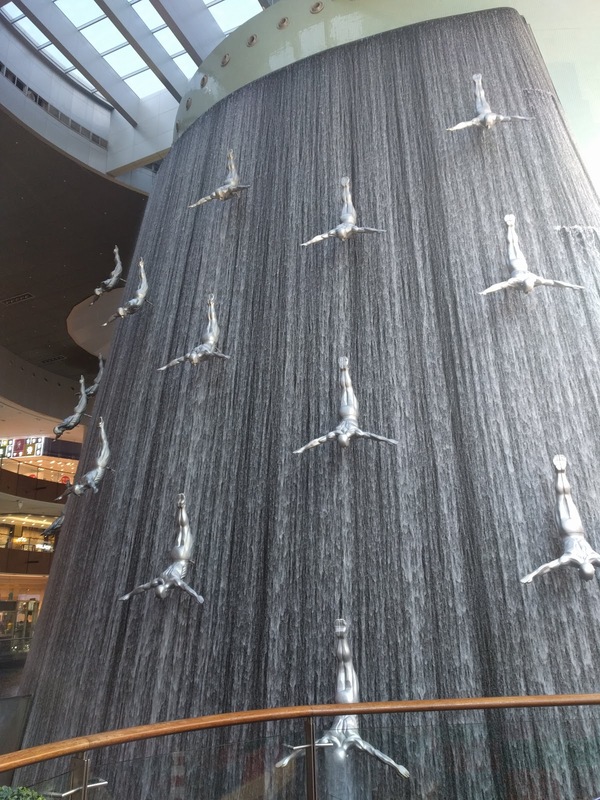 I've heard from those who are not fans that "Dubai has no culture" - but M and I have to respectfully disagree! I can't wait to share more from the highlights of our trip: the Miracle Garden (which was, in fact, miraculous), and the Global Village (in some ways global, and in some ways not) - but those are stories for another time.